A vertical structure like a thin wall which separates one part of a room or building from another. regulations, whilst also allowing a Contractor to maintain an efficient installation time, essential for today's tighter building programmes. This makes them ideal for offices, hotels, schools, hospitals and so on. 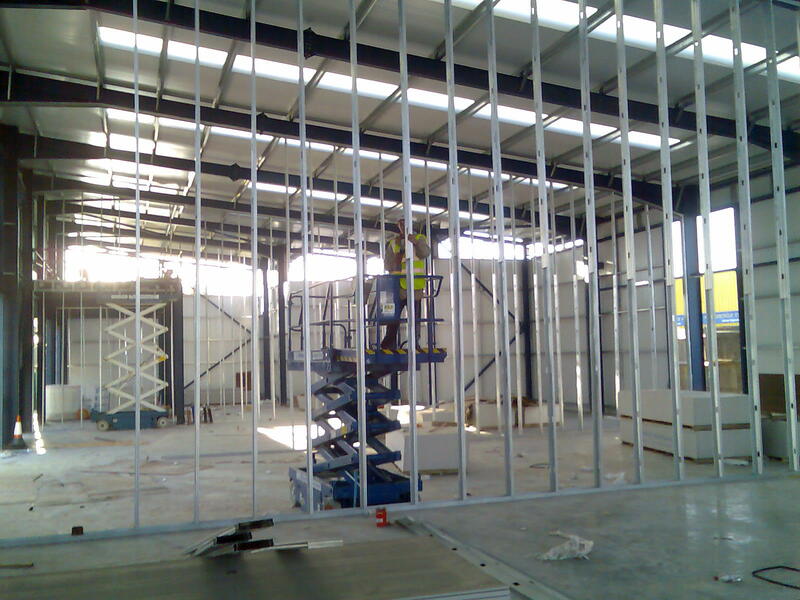 At Coastal Drywall we can provide a partitioning solution for every application, from simply dividing a small room into two for you or building your complete office floor plan. In addition to that, we can offer you the flexibility of choosing from plasterboard stud walls using 50mm studs, up to a jumbo stud of 146mm. © Copyright 2006 Coastal Drywall Limited. All Rights Reserved.